The Idaho Statehouse will be celebrating Idaho Day on Monday, March 4, 2019. 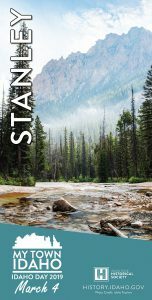 Idaho Day, March 4, was established to commemorate the creation of the Idaho Territory by President Abraham Lincoln on that day in 1863. 2019 Idaho Day is celebrating Idaho towns. What’s unique and distinct about your town? What makes your town that extraordinary place to grow up, live, work, play, go to school, and raise a family? Thank you everyone for participating in celebrating Idaho! Alan Minskoff, Alexa Porter and Roosevelt Elementary 4th grade students and Tara Mason, Jill Wimer and Katie O’Neil. Idaho Day inspires many Idahoans across the Gem State to celebrate Idaho and its history, along with all that is special about their own community or part of the state. For example, a larger-than-life bronze statue of Abraham Lincoln has resided in Julia Davis Park in Boise since 2010. Idaho State Historical Society Executive Director Janet Gallimore said, “Idaho Day is a time to reflect upon our state’s rich history and honor all those who endeavored to create this incredible place we all love to call home.” Idaho Day is an opportunity to showcase the Gem State’s treasured past, thriving present, and unlimited future. 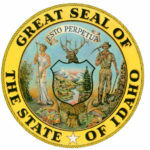 Spearheaded by the Idaho Historical Society, Idaho Day is enjoyed throughout the state by schools and universities, state agencies, and other organizations.